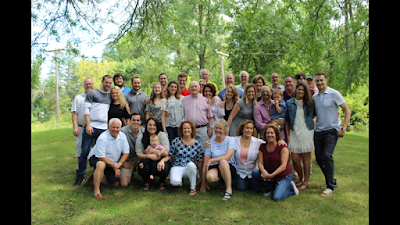 The weekend after my Dad's birthday my family got together at one of Midland's parks to celebrate! Bros, sisters, nephews, nieces, uncle, in-laws, the whole gang! Although rain was forecast we lucked out with beautiful sunny weather and everyone had a blast.